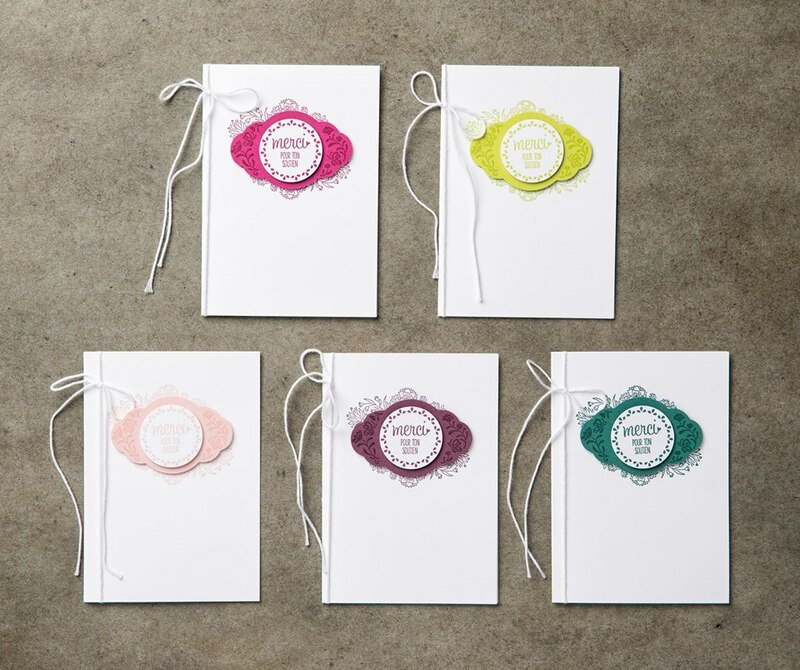 Well, well, well … how did you like to two “Hello” cards? Two different styles but pretty easy to recreate. 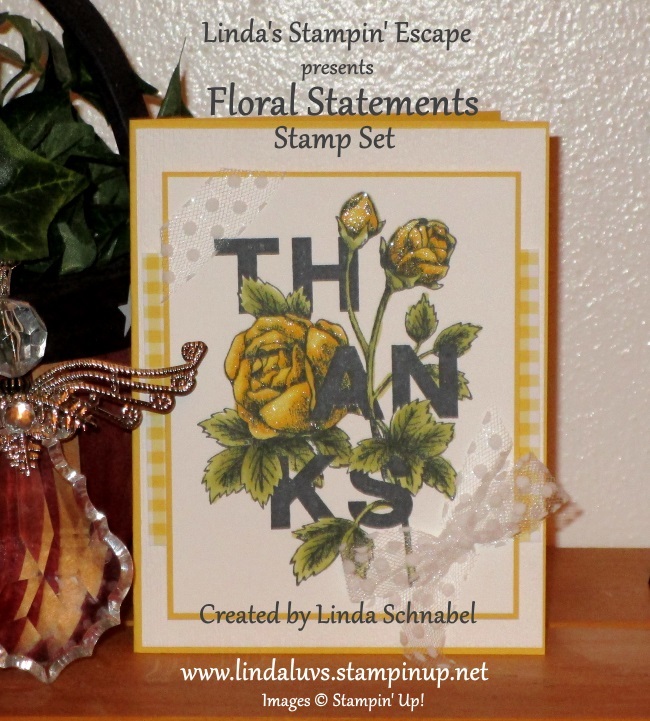 Today I have another card from the Floral Statements for you featuring the “Thanks” greeting. Yesterday cards were done with the Aqua Painter and a watercoloring technique. 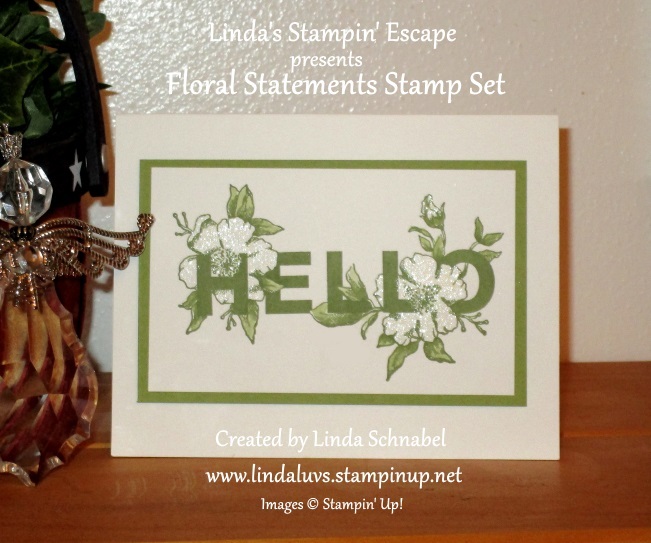 On my card today I used the Stampin’ Blends to color my floral piece …. Once I was done with my coloring I matted my work with Daffodil Delight Cardstock … and wrapped it all up with a bow. The ribbon is actually wrapped around the entire card front. 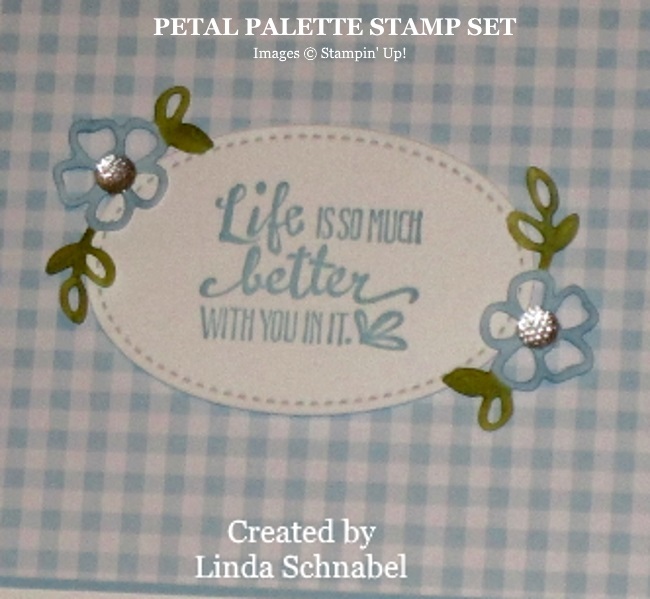 Then I added a touch of the Daffodil Delight Gingham designer paper behind it. 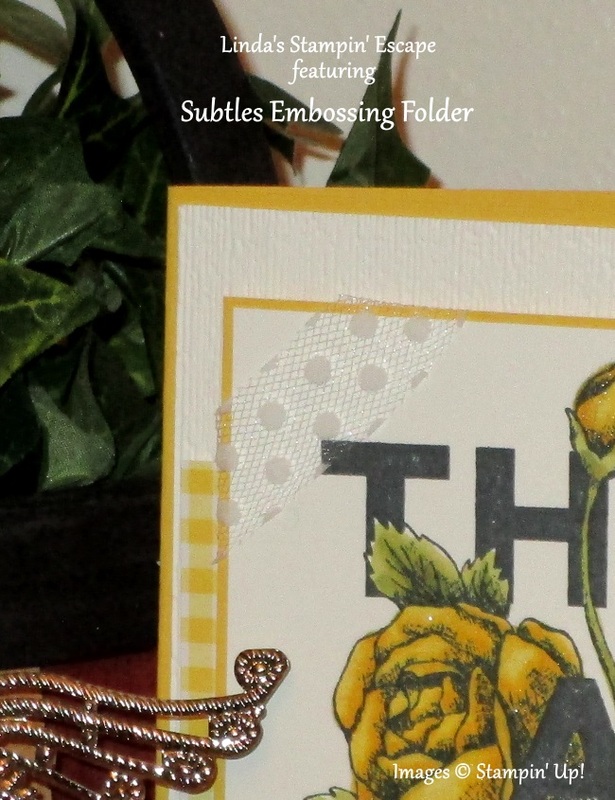 My next step was to emboss the Whisper White with the Subtle Dynamic Embossing Folder .. Oh my gosh, I love how “subtle” the texture is on this folder. Love it! And now to complete my card, a little sparkle from my “Wink of Stella” and then I mounted everything onto my Daffodil Delight card base. 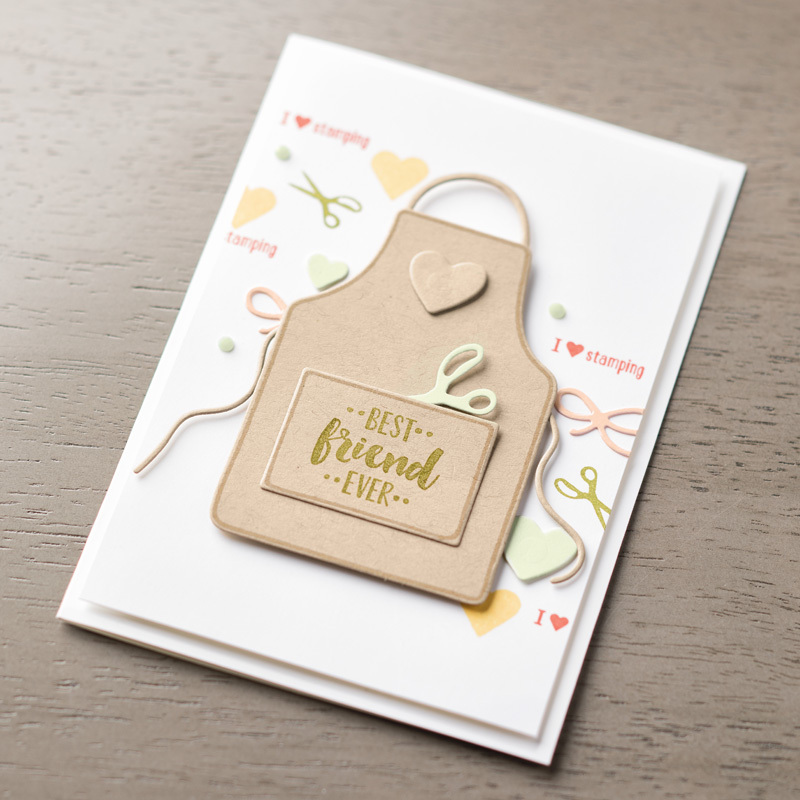 Tomorrow I have a card for you that will make you yearn for warm summer days! Meet you back here then! Thanks for sharing a part of your day with me today. With just around the corner I thought I would share a beautiful card that was created by my friend and fellow demonstrator, Peggy. 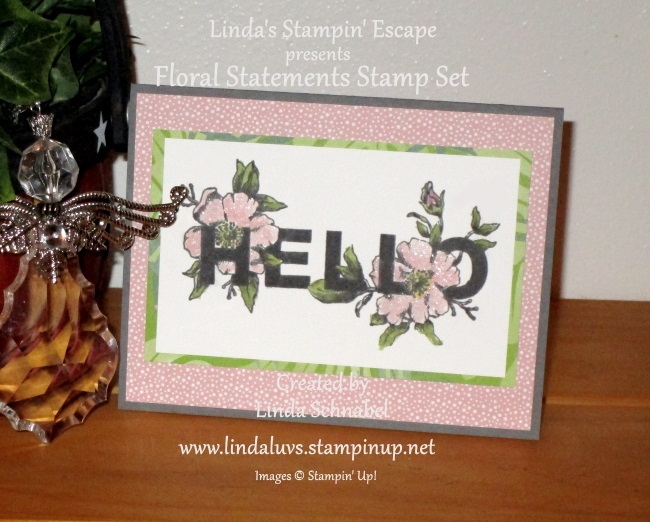 This was a swap card from our last Spring Stamping Retreats and I do believe it was the winner! 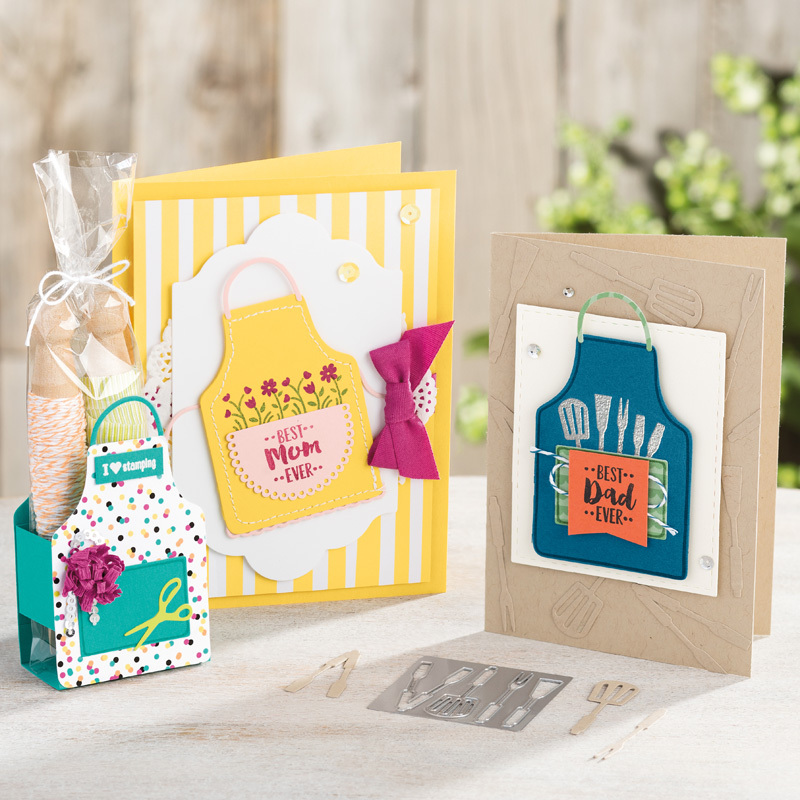 Our guests swap and then vote on which of the cards they like best … we have lots of fun and so many different people have had the honor of being chosen “Best Card”… it’s hard to choose!! 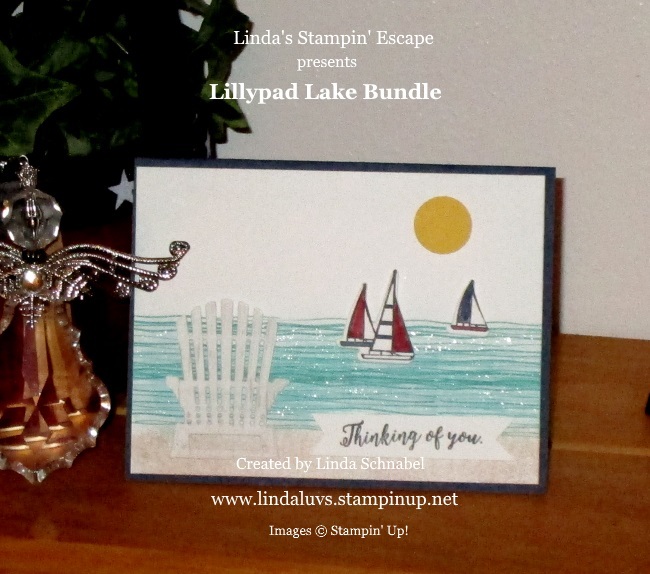 The color pallet for this card is the lovely Pool Party and Bermuda Bay with a touch of white to pull your eye to the focal point … the cross. 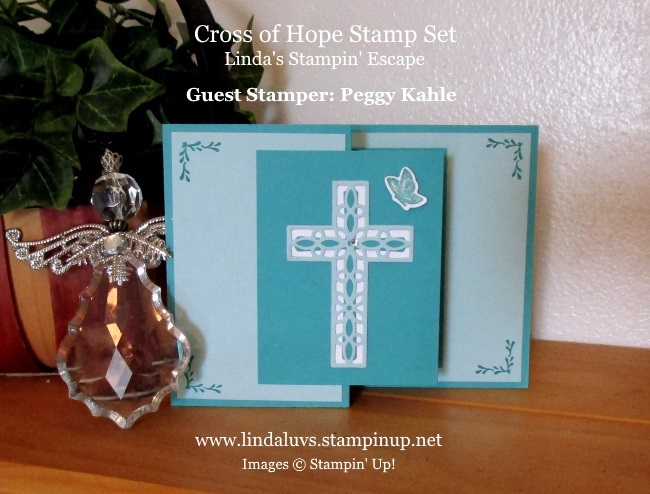 Peggy layered the cross which creates it beauty and texture. 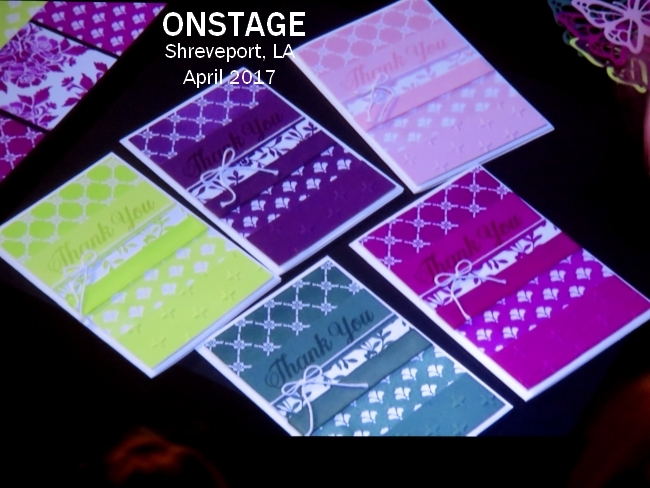 She created her card using the “Z Fold” technique … so fun and not to hard to do. 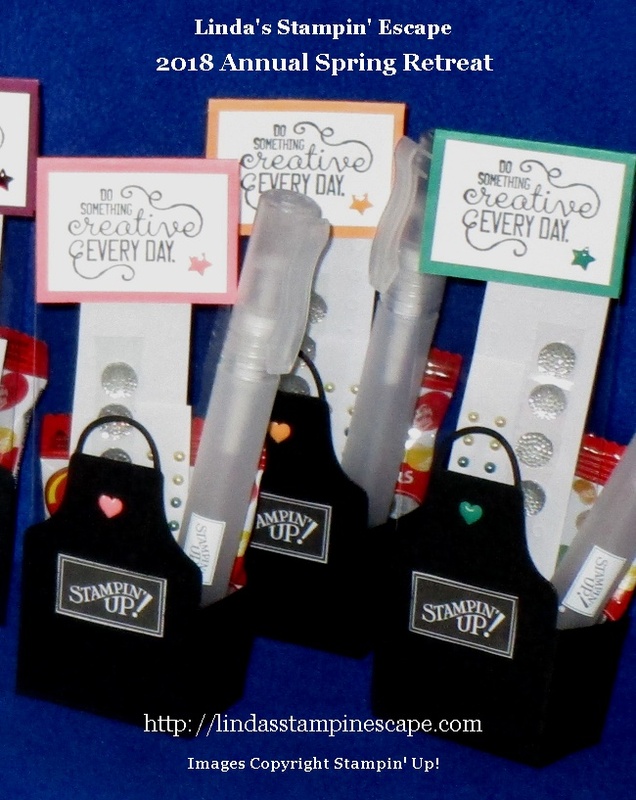 I will share one of mine in the next couple of days along with step by step instructions so you can recreate these cool cards. There are several different ways to do the Z-Fold and it’s all based on the dimensions of the “Z” that you are using. 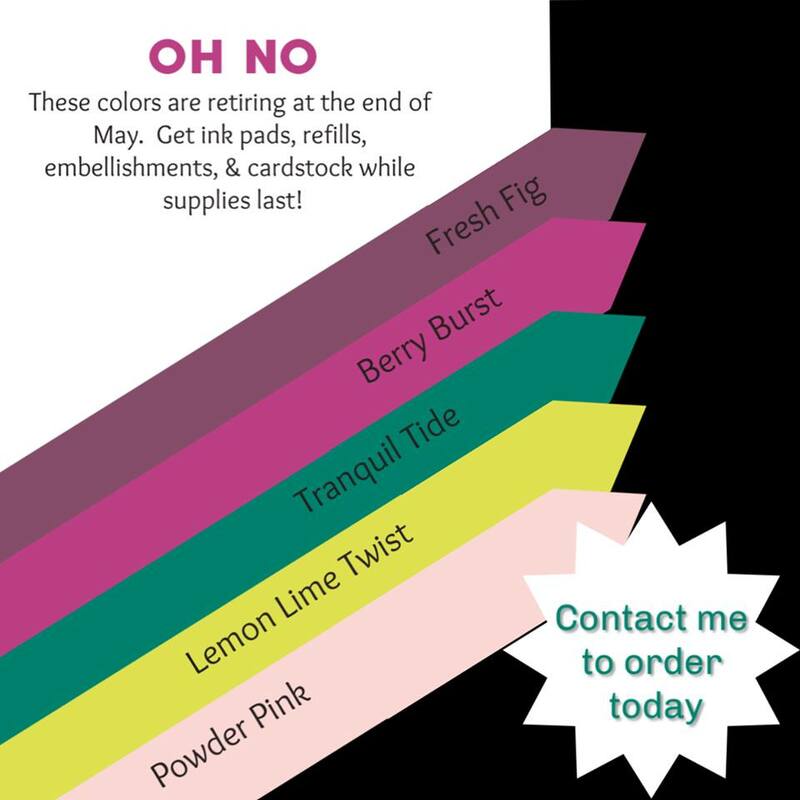 We are actually making 2 different styles of Z-Fold cards at my Spring Stamping Retreat (but I can’t show you those till we get back). I hope you enjoyed Peggy’s card, it is so pretty and so fitting for this time of year. 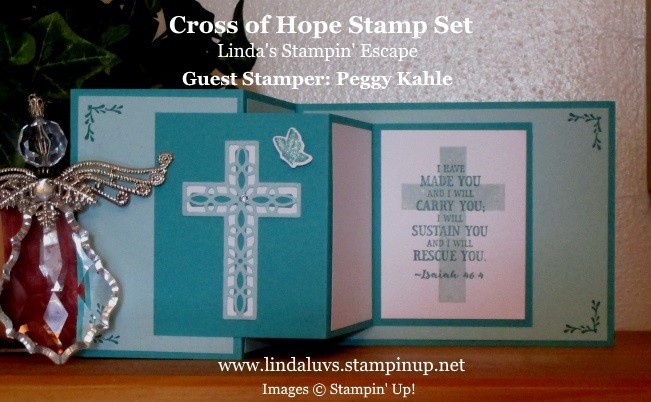 The Hold onto Hope stamp set and coordinating Cross of Hope Framelits dies are a nice addition to your stamp collection. 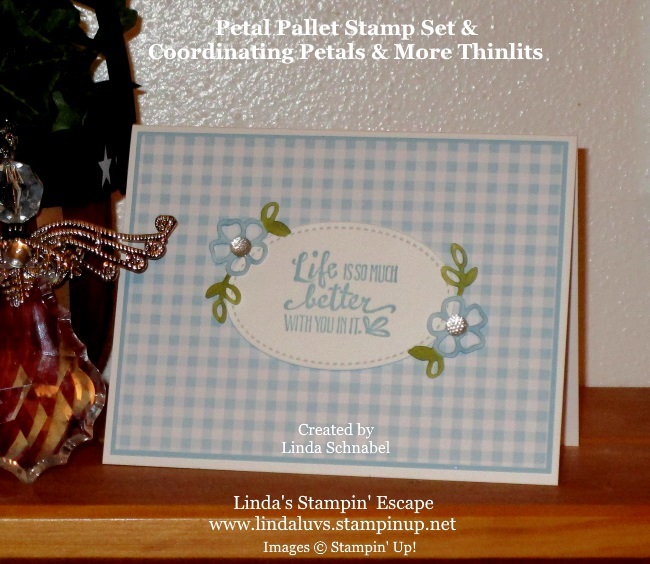 I purchased mine to go with the Ribbon of Courage stamp set. FYI … I have the name wrong on my picture!! 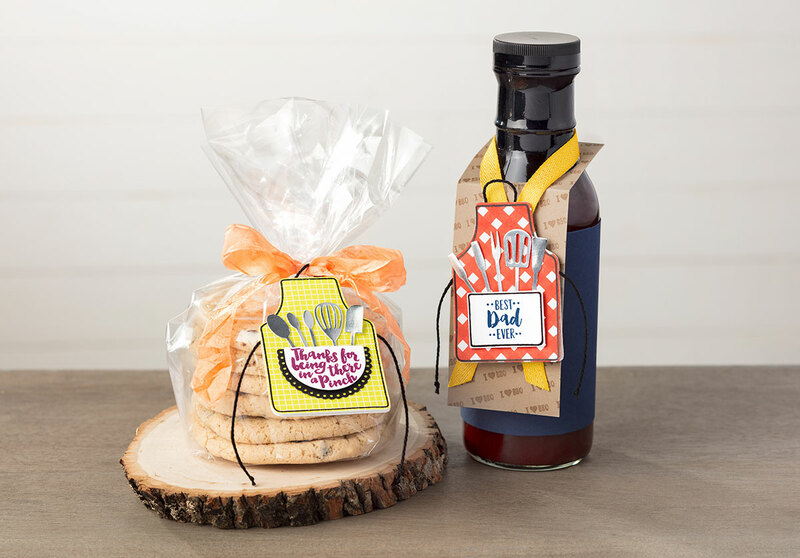 That’s for the framelits … Hold Onto Hope Stamp Set is correct. Enjoy your day, and I’ll see you tomorrow!